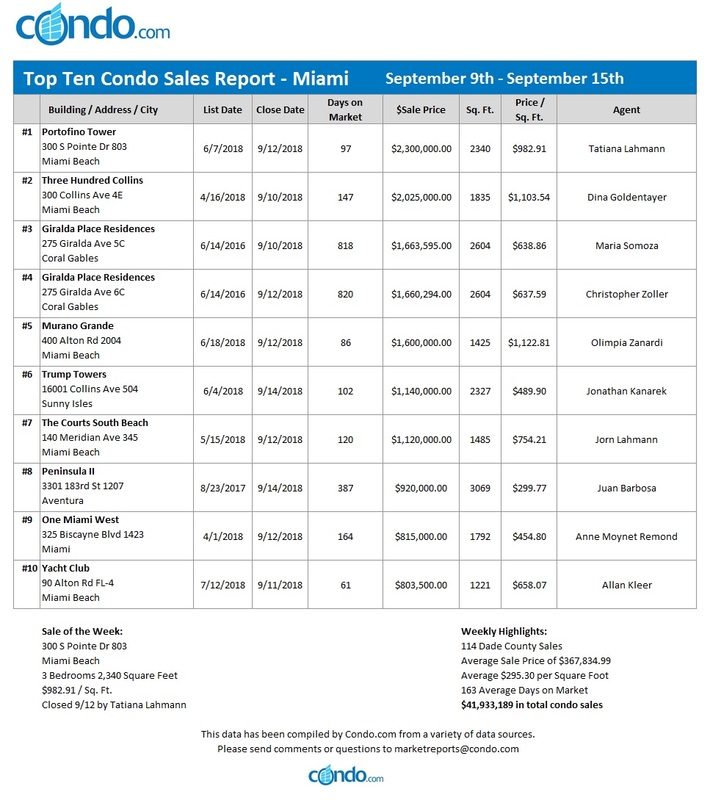 The Miami Dade condo market had a solid showing this past week. There were 114 closings for a total sales volume of $41,933,189. 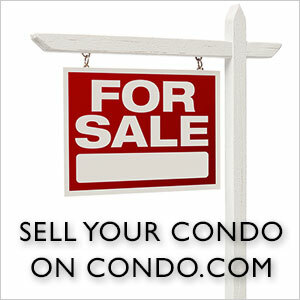 The average price for a condo was $367,834.99, or $295.30 per square foot. 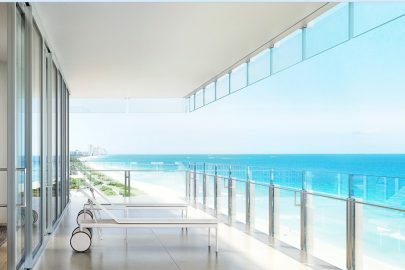 The top city was Miami Beach, recording a sales volume of $14.207 million with 24 sales. 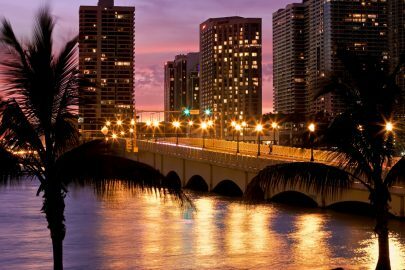 Miami had 41 transactions for a total of $11.648 million, while Aventura followed with a total of $3.394 million with 8 closings. The top condo sale of the week was a three-bedroom unit at Portofino Tower in Miami Beach. This 2,340 square foot property at 300 South Pointe Drive sold for $2,300,000, which translates to $982.91 per square foot. Tatiana Lahmann sold this condo after being on the market for 97 days. 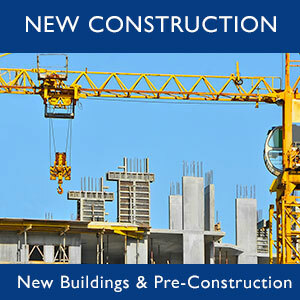 The Miami Dade condo market remains optimistic as we head into Fall.